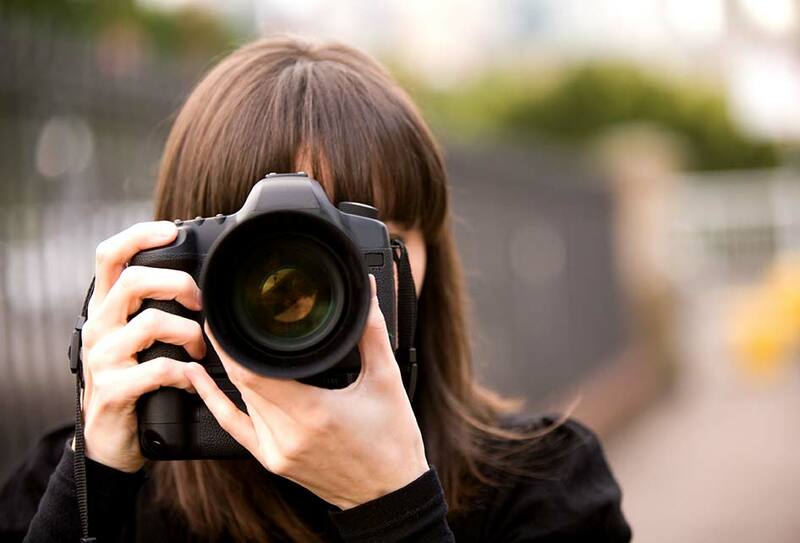 ﻿ How to Take a Good Picture | Christiane Northrup, M.D. Are you someone who thinks you don’t take a good picture? Or maybe you’ve been plagued by that awkward or unflattering picture of you at a special occasion—maybe a wedding, a birthday, or family reunion—that seems to follow you for life? Having done a lot of photo shoots, here’s what I’ve learned: A really good photo shows your soul qualities—who you really are behind your eyes. The reason a photographer doesn’t quite capture YOU has to do with a couple things. Many times the person taking the photo doesn’t know how to convey caring and love. And so you aren’t able to reflect that back. It could be that you’ve had some kind of shaming or judgment about pictures in the past. Or maybe you learned to “pose” or create a fake smile, like you see kids do when they are about seven. So, before going into a professional shoot or a big event where you know you’ll be posing for a while, “arm” yourself with a series of funny memories that will immediately make you smile. You can picture a child or pet being particularly silly and adorable. Or remember those hilarious—or not so hilarious—jokes that your husband or goofy uncle always told. If you keep those in your head, and draw on them when the camera starts clicking, the camera will pick up your joy. It’s also great to have a good friend with you, especially if she (or he) has an artistic eye. Not all photographers remember to straighten a collar, a necklace, or whatever. So you can get a great photo with your necklace askew! I hate that! Your friend can be your “hype girl,” too. That’s someone who can get you to relax and laugh. You also want your friend to tell you when you have gotten tired and your smile is kind of plastered on. That means it’s coming from the cortical area of your brain. A cortical smile is entirely different from a limbic smile. It doesn’t come from deep inside, so the photo won’t capture your personality. A little makeup is always good. I recommend at least some lipstick. It’s also really important to have good lighting. The “magic hour” for great photos is late afternoon or early morning light. Midday light is considered hot, and it is not flattering! Savvy actresses like Oprah have always known that great lighting is key. When I was on the Oprah Winfrey Show, I was aware that she had the best lit sets ever. And I always looked far better on her show than on some others. If you’re going to be posing for a long time, make sure you stop and move around. Have a good playlist of cool, upbeat music ready to keep you feeling great and to keep any young children from getting too bored before the photographer finishes. I often make funny faces throughout my shoots, and suggest it highly! (Although not while the photographer is taking photos.) This will encourage your precious gorgeous self to beam out of your eyes! As I read through your comments, I could identify with EVERY one of them. A friend of mine once shared with me the drama of their annual Christmas photo– in which everyone was expected to look happy and joyful. Even though the mother of the house was pretty much a living nightmare. We’re going through old family videos here now. And boy do THEY reveal dynamics we weren’t aware of at the time. Thanks everyone!! Wonderful and timely article as I am preparing for new head shots for my book. I like your suggestions and will take them with me on my shoot. I remember as a little girl being goofy in front of the camera. I now have some of those funny shots on my office bulletin board. It helps to look at them and not take myself too seriously. My mother would always say “smile” to us when we had every reason not to do so, often because she’d just hurt our feelings. I have almost no pictures of myself. Very timely for me as I am just about to have some head shots taken for my website! Thank you for the tips. I really want the photos to reflect who I am….. I once worked as a photographer for a newspaper. My secret to taking good photos of people was to joke with them and make them feel at ease (if it was a feature story – not a crime story). Also, I would take at least three photos and choose the best one and process it in a way that added depth and warmth. Some people, it seems, enjoy taking the most unflattering pictures. My mother is one of these people. I’ve always shied away from pictures until I started taking pictures with my daughter. I felt I had to have mine taken since I take so many of hers. I’ve always felt I look too dark, fat and/or unintelligent in pictures. However, there are a handful of pictures I’m quite proud of and I see after reading your article why that is. Those handful of times are at my most happy, joyful or proud moments. I will keep this one in my heart for always. Thank you Dr. Northrup! I have thought that I didn’t like pictures of me because I’m older…looking back at some of my worst, the person taking the pictures was not reflecting love and joy back to me…and my smile would be shallow looking as I sensed those vibes coming at me…this is a great insight, thank you. I have felt that way when a certain “friend” whom I now realize is extremely toxic took my picture I come out looking tired and worn. When I have taken pictures of her, she comes out great because I have been channeling love and joy to her. She had been channeling envy at me and my face always looked tense and the lines seemed magnified. It is amazing how something like someone taking your picture can tell you so much about how the person really feels about you. Another picture I had taken by a young friend who really likes me; and I look younger, attractive and relaxed in those pictures. Great article with good ideas for both the photographer and the subject. I have also asked my subjects to fake laugh and it often results in some great shots of them really laughing and I end it off with a smiling shot that looks genuine and awesome. When he was ready to take the pictures. My best photographs of me happen when I “forget myself”, usually coupled with being out in nature, wet and dirty and breathing fast (haha, that means I just finished working in my vegetable garden and am overwhelmed with happiness at its abundance), a light rain to make it all glisten, agree with late afternoon light as beautiful, Dr. Northrup, and a photographer who loves you!